The Warriors are NBA Champions ... AGAIN! 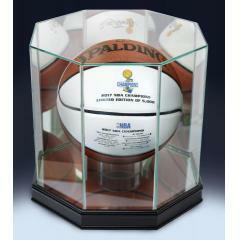 This custom case is the perfect complement to any autographed or commemorative basketball. 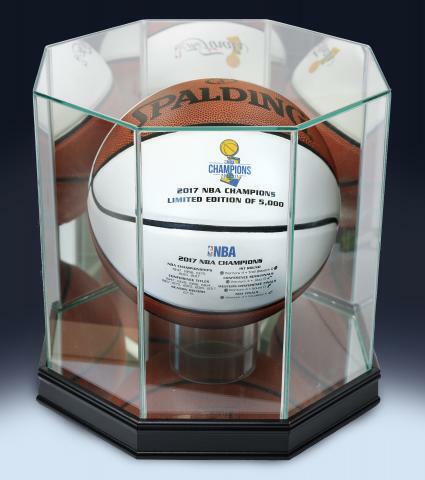 The case looks great displayed on any shelf, allows for great views from any angle and protects your collectible piece of memorabilia from dust, dirt, scratches and other damage. Get yours today. We will charge your credit card for the full price immediately upon taking your order to ensure we reserve a case for you. We will confirm your order by Email. Please allow 4 to 6 weeks for delivery.